For those of you die hard Assassin’s Creed fans who purchased Assassin’s Creed Pirates you will be happy to hear that the game has finally be updated with loads of awesome features. 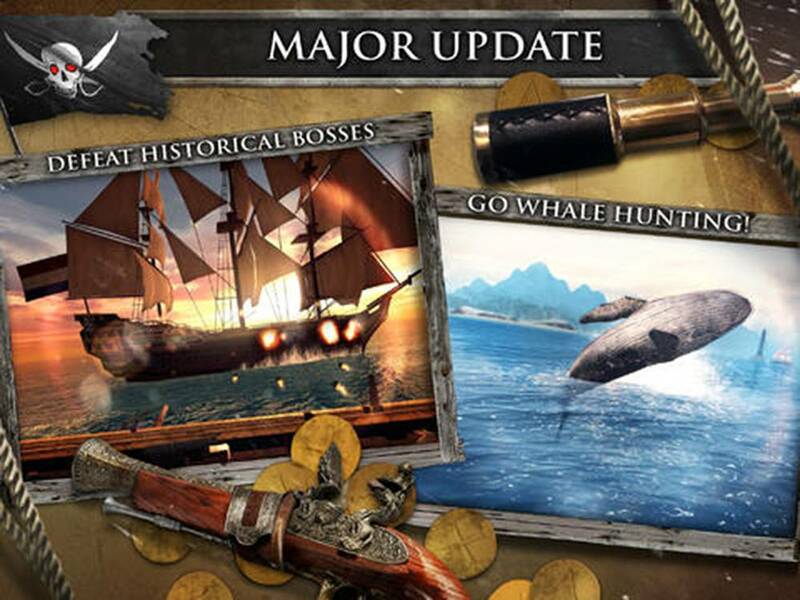 One of the big main features to be added to the game which I look forward to is the ability to be able to go whale hunting and if it is anything like whale hunting in the new Assassin’s Creed game it will sure be loads of fun. The update will also include up to 50 different species of Caribbean fish that you can collect. Along with all the new fish and what not the update brings with it two new ships which will come handy when facing six new historical bosses. Not only do you get all these awesome new features, you will also get a new survival mode to mess around in, another campaign mission, new secondary missions, and even more treasures to collect. If you haven’t already picked up Assassin’s Creed Pirates you can purchase the game in the App Store and Google Play Store for $4.99.